Presidential campaigns are beginning far too early: The permanent campaign has gone too far. It’s absurd that the presidential campaign season is beginning 21 months before Election Day. New Jersey Gov. 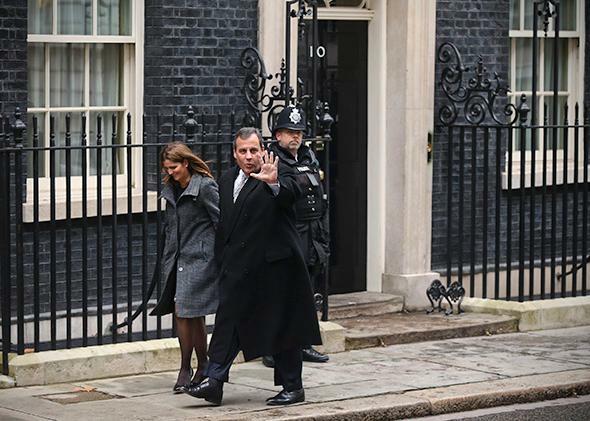 Chris Christie and his wife, Mary Pat, walk on Downing Street during their visit to London on Feb. 3, 2015. We may be seeing a lot of them over the next 21 months. Let us entertain a moment’s sympathy for Mitt Romney. No, not because he couldn’t so much as stick up his perfectly coiffed head last month without being ridiculed by everyone from Rupert Murdoch to Jon Stewart. But because he felt pressured to make the decision about whether he could continue taking the ridicule, and mount a third presidential campaign, a full 21 months before Election Day 2016. It’s a quadrennial complaint, but I’m going to make it anyway, and make it earlier than it’s been made before, because the problem has somehow managed to get even worse: It is simply insane how much we’ve pushed up our presidential campaigns. It seemed like it couldn’t get any worse than the past couple times—Barack Obama announced his 2008 candidacy on Feb. 10, 2007, timed to coincide roughly with Abraham Lincoln’s birthday. For the 2012 campaign, the Republicans started holding debates in early May of 2011—a full year and a half before the election. But this year’s early start has trumped even those. There are 644 days until Nov. 8, 2016. That is longer than the Spanish-American War, the Russo-Japanese War, and the Franco-Prussian War. It is as long as the period of the Nazis’ Siege of Leningrad before the Soviets finally managed to get a sliver of access to the city. It is significantly longer than the span of time during which President Lyndon B. Johnson signed the Civil Rights Act, the Voting Rights Act, and the creation of Medicare. It is enough time for some women to conceive and bear two successive children. And yet there was Romney being told that he had better make up his mind now if he wanted to be able to hold on to enough of his major donors from the past go-round and reassemble his campaign organization in key early primary states. And there was New Jersey Gov. Chris Christie being followed on a junket to London by at least three U.S. news organizations—who, last I checked, are not all swimming in profits, yet felt the need to follow this “presidential candidate” across the pond to watch him take in an Arsenal game and a production of Henry V at the Globe Theatre. (Granted, this allowed them to report his eyebrow-raising comments about vaccines during a visit to a vaccine manufacturer there.) And it’s not just Christie who’s getting nonstop candidate coverage: A week earlier, the Washington Post dispatched a reporter to Manitoba to watch Hillary Clinton deliver a speech. Right, because voters know so little about Clinton and because she’ll have so little time during a virtually uncontested primary season and general election to get her message out. Look, I’m as guilty of this as anyone. I have spent the better part of the past year reporting lengthy pieces on likely 2016 contenders—see here, here, and here—though I’ve generally tried to make those pieces at least partly about subjects that reach beyond the candidates themselves and their 2016 prospects. I know full well the temptation as a two-term presidency heads into its proverbial fourth quarter to look ahead to the next act. I also believe that coverage of the presidential-prospect cattle calls—such as the Conservative Political Action Conference or the recent “Iowa Freedom Summit”—can be justified on the grounds that it allows the media to get a sense of the tone and direction of a given party, regardless of what point in the election cycle it is or who is or isn’t running. I also get the argument that our extended campaigns serve to vet candidates for Leader of the Free World in a way that the ultra-compact campaign seasons in, say, Germany or the United Kingdom do not. When George Romney, Mitt’s father, famously damaged his prospects for the 1968 Republican nomination with his comments about having gotten a “brain-washing” from American generals in Vietnam, it was very early in the nominating cycle—in late August of 1967, long before any primary votes had been cast. Still: That was seven months later in the calendar than Mitt’s decision not to run in 2016. When LBJ announced his decision not to seek the Democratic nomination in 1968, it was in a speech on March 31 of that year—the election year. By contrast, it is now looking likely that the majority of states will already have awarded their delegates by that point in the GOP primary next year. And when Mario Cuomo made the fateful decision not to board the plane that was waiting for him on the tarmac in Albany to take him to New Hampshire to register for the first-in-the-nation primary in 1992, it was in December of 1991, less than two months before the primary—and nearly 11 months later than the point in the calendar this year when Mitt Romney bowed out. But since we know what’s driving the shift, there is some hope for reforming the process, at least at the margins. Campaign finance reform, which even some prominent Republicans are now talking about, could reduce the fundraising demands at least somewhat. The parties could do a better job of penalizing states that try to leapfrog earlier in the calendar, as several major Southern states are now threatening to do with their GOP primaries next year. And the media can try, just a bit, to restrain its forward-looking impulse and keep at least some of its focus on the here and now. Gridlocked as Washington is, there are major issues to be dealt with, from a huge looming trade deal to the tenuousness of Obamacare to a broken immigration policy. Out in state capitals, there are big budget battles with serious consequences for millions of taxpayers and schoolchildren, not to mention fights over water rights, shale fracking, and school curriculum standards.